A judge at Warwick Crown Court granted a Leamington man bail so he could visit his sick partner in hospital, only for him to be arrested and held in custody for breaching a curfew. And Alistair Tallis was held in custody for two days before the court heard his arrest had been a mistake by the police – because he was no longer subject to the curfew. Tallis, 24, of Gloucester Street, Leamington, had been committed to the crown court to be sentenced after pleading guilty to breaching a suspended sentence and two offences of theft. Judge Sylvia de Bertodano initially bailed him to enable him to visit his girlfriend who was ill and in hospital. Although he had been made subject to a curfew as part of a 12-month suspended sentence imposed in November last year for dangerous driving, it had only been for three months. But after being bailed, in the early hours of the following morning, the police were called to an incident where they saw Tallis. Although it did not lead to any charges, they arrested him because a PNC check mistakenly showed there was a curfew as a condition of his bail, explained prosecutor Jennifer Josephs. Of the actual offences he faced, she said he had missed three supervision appointments with the probation service, and when he had attended, he ‘has not engaged very well,’ becoming angry and using inappropriate language. 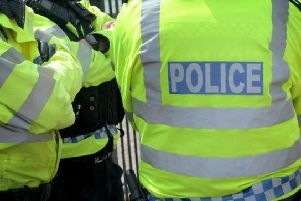 He had also committed two further offences of theft, stealing perfume and other items worth £26 from Morrisons, and goods worth £85 from the Boots store in Leamington. Miss Josephs pointed out that there was a recommendation from the Probation Service that Tallis be fined for his breach of the suspended sentence. The judge responded: “What is he going to do to make this work? If I give him a chance, and in a week he has no money and goes into a shop shoplifting, that’s not doing him any favours. Judge de Bertodano said she would adjourn the case until September to give Tallis a chance to comply with the order and to work with the Recovery Partnership to tackle his drug problem.